Regardless of your roofing needs, it’s important to make sure that you’re hiring the best possible roofing company near you. We know just how much of an investment your roof is, and choosing a roofer who is aware of what your roof means to you is important. By working with a quality roofing contractor, you can get the most out of your investment. Oftentimes, homeowners run into issues by choosing the cheapest roofer near them, which causes problems in the long run. The best way to avoid this is by choosing the roofer with the best services for an affordable price. Here is what you should look for in a quality roofer to ensure the best results for your money. 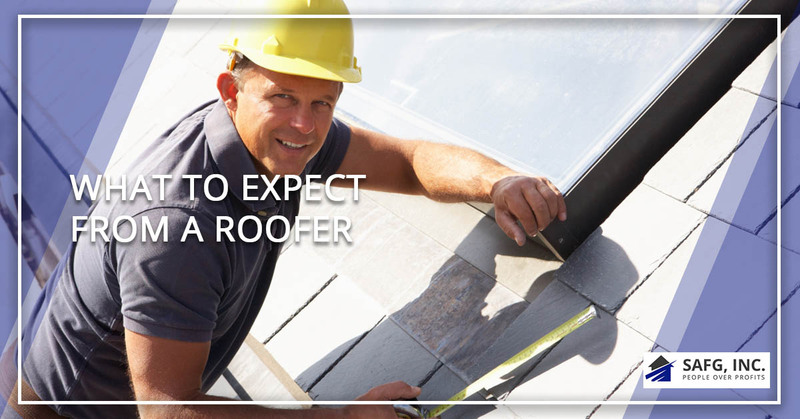 This is one of the most important aspects of hiring a roofer. Not all roofing companies are created equal and not all roofing companies are actually certified, licensed or insured to provide you with worry-free services. If something happens during the roof installation or repairs, you could end up footing the bill because it’s on your property. Be sure to ask your roofing company about their qualifications and certificates. Not every single customer’s experience is going to be the same and some customers are more than happy to write a negative review online. Understand that this is simply a matter of miscommunication a lot of the time. If you’re looking at the roofing company’s reviews on Google, check out their rating. This is more representative of their true performance and customer service. If there are more negative reviews than positive ones that surround unfinished jobs or empty promises, you might want to consider a roofing company like SAFG, Inc. instead. The Better Business Bureau is a great way to tell whether you should hire a certain roofing contractor. They are dedicated to making sure that contractors and businesses, of any type, are offering the best services for their clients’ money, in any industry. They hold every business accountable, and by dealing with a business that has a good standing with the BBB, you can rest assured that your investment is safe. If you’re looking for a roofing company that can provide you with a new roof or roof repairs, be sure to double-check that they have good standings in all of these areas. SAFG, Inc. meets all of these requirements, so you can rest assured that your investment in our roofing contractors is safe. Give us a call today!